If you’re already running a robust membership prospecting campaign, it can seem exhausting to devote additional time to growing member-based personal training. But by not offering your current members the opportunity to achieve their fitness goals through personal training, you’re potentially leaving 50% of additional revenue on the table. Remember, your members are qualified PT prospects. They’ve already said yes to you once, because they see the value of your business. Deepen your customer relationships and increase overall retention rates through personal training. Below are four ways you can grow your PT business through communication with existing members. Most club managers break into a cold sweat at the thought of their members describing their communications as one of the above. However, as a club owner, manager, or sales person, it’s important to remember, you’re asking a potential client to invest in themselves, not a shady real estate deal. Are you confident personal training will add value to a member’s life? Then it’s okay to be persistent. While there’s no set frequency standard when it comes to reaching out to your members about personal training, an easy rule of thumb is an initial communication explaining the value of PT followed by four follow-ups within the first ten days. 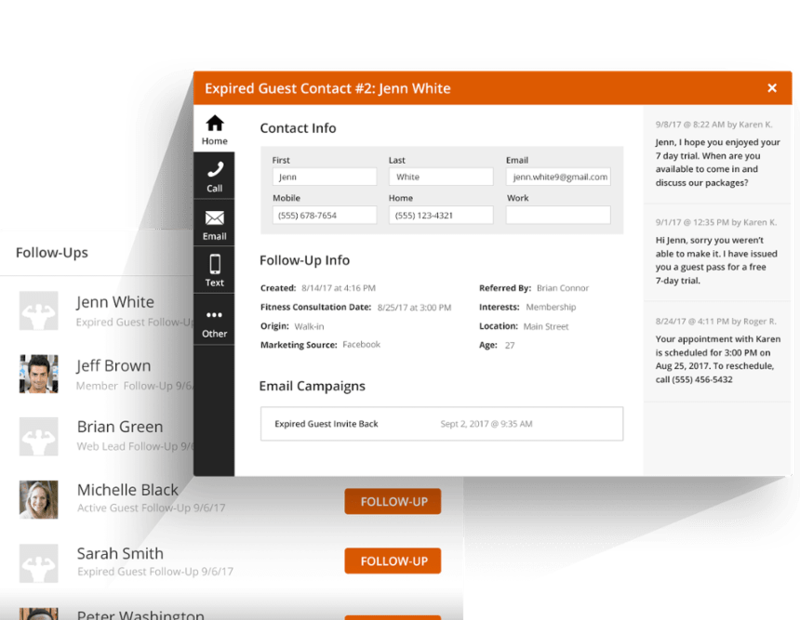 After the fourth follow-up, reach outs can be scheduled with less frequency but keep following up until you get an answer. And since there's no set rulebook, you can always test different communication frequencies to see what works best for your business. Remember that when a member responds, whether the answer is yes or no, to stay positive and stay helpful. A ‘no’ today isn’t necessarily a ‘no’ tomorrow, the next day, or six months from now. Always keep the door open to potential personal training sales. If you expect to finalize a sale via email or phone call, you’re placing unnecessary pressure on your follow-ups. Lower the stakes by offering complementary fitness consultations - also known as orientations - to new members. Not only are you adding value to your follow-up by offering a free service, you’re also giving yourself a great opportunity to evaluate the member’s health. Using this information, you can build a custom training plan to reach their individual fitness goals. Best of all, if a potential PT client has never purchased personal training, a fitness consultation acts as a ‘test drive’ to lower their apprehension and showcase its benefits. You never want to frame a follow-up with a potential personal training client as ‘just checking in’. Trust me, their mothers are already doing that. Give each and every follow-up a specific purpose. That purpose can be locking in an appointment date, confirming their availability for the coming week, or inquiring further into their fitness goals. Whether you contact a potential personal training client every ninety days or every nine months, finding a new reason to contact - or ‘RTC’ - is a must. If you fall into a follow-up routine - reaching out with the same script; offering the same services - the member will likely fall into their own routine: Ignoring your follow-ups. Break the monotony by creating fresh RTCs for follow-ups. This could be running a limited PT promotional rate, implementing free trainer assessments, or adding new classes to your existing training services. Find this blog helpful? Get more great PT sales insights for free. Download our Personal Training Sales Guide E-book.